Ford is weighing up an entry into the FIA World Rallycross Championship when the sport’s top level will introduce electric cars in 2021. 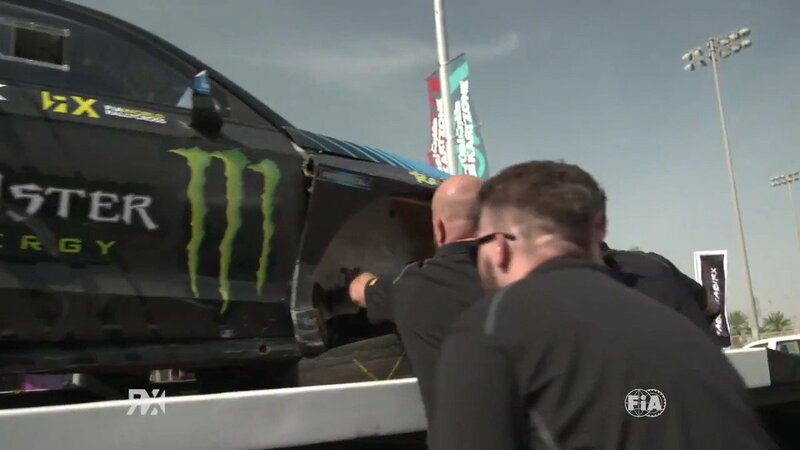 The ‘Blue Oval’ supported Hoonigan Racing Division in 2016 and 2017 with America’s Ken Block and Norway’s Andreas Bakkerud at the wheel of Ford Focus RS RXs as a manufacturer programme and is now looking to be part of the sport in the future. Manufacturers have until 29th March 2019 to confirm their commitment to the electric format. The cars will be faster than the current generation supercars, based on a carbon fibre monocoque chassis supplied by Oreca and will use batteries from Williams Advanced Engineering. Each car will be powered by two 250kW motors which manufacturers will develop. Manufacturers will homologate their own bodies for the cars which are designed to accept scaled versions of B or C segment production vehicles. Independent teams can also enter the championship, either with cars supplied by manufacturers or using their own drivetrains and bodies developed from an FIA approved base design. STARD recently announced that it is receiving support from Ford Performance with its new 2019 World RX Supercars.